Hello friends, I hope you all had a weekend as spectacular as I did! Why was mine so spectacular you might ask? Well, because I went to Battle for Salvation, an 80 person major GT this past weekend, and had a great time. 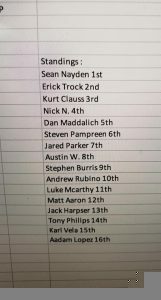 Not only was the tournament awesome and well run, but I finished in 4th place with Ultramarines! 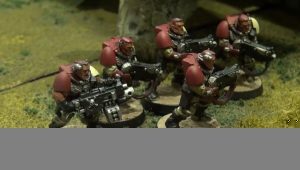 Over the course of the last week I spent a great deal of time playing with marines, and trying to speed-master them, and I learned some pretty interesting stuff that I wanted to share with all of you! 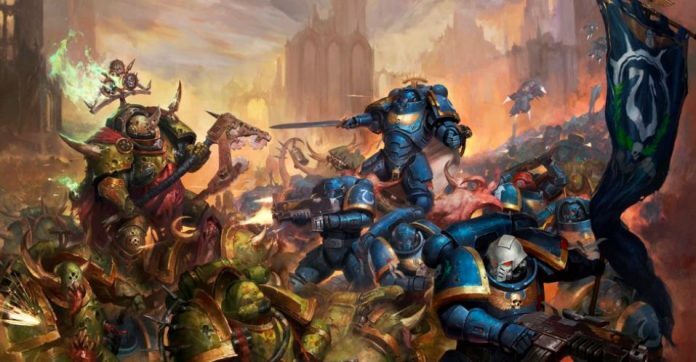 It’s no shock that the basic Space Marine stat line just isn’t worth its cost currently You just don’t see tons of tactical marines running around the way you used to. There’s a myriad of reasons why, but I don’t want to dwell too long on what doesn’t work, instead I want to focus on what does. Additionally, the fancy pants primaris marines are also just overpriced these days as well. They pay a premium for essentially 1 extra wound, but there’s just so much damage 2 or d3 weaponry running around in the game that a lot of the time that extra value is lost entirely. 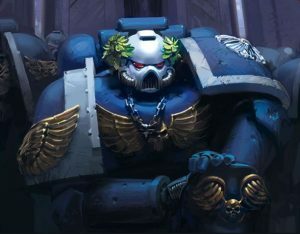 So, with the basic profile for 70% of the marine codex simply being overcosted what can be done to help out the boys in blue (or yellow, red, green, darker green, silver, black, and white)? You need to focus on the unique aspects of marines which get around their basic-ness. This army barely had any basic marine bodies or primaris bodies, and focused on playing the mission down to the letter, while leveraging the strengths of its not so obvious components. This isn’t the only build that will work for marines though. There’s many interesting options which marines have access to if you know how to spot them. One of the best things marines do across all their chapters is have insanely good characters. The basic smash captain is actually really good value even without infinite CP. BA, SW, and SM all do them very well, especially with Might of Heroes which will work on any Adpetus Astartes model. The value of an untargettable dude who can fight twice and/or fight when he dies with a thunder hammer, a storm shield and access to relics is really hard to understate. DA have some other crazy characters, Sammael and Talon Masters in land speeders are really good value characters since they have solid fire power which your opponent can’t really do anything about. In a way, they function similarly to Tau riptides because of that, and if you’ve ever been on the receiving end of a riptide and drone farm you know how annoying it is to be shot by something that you can’t shoot back. If you’re a BA player you have some interesting options available to you in the form of buff characters. Being able to just have access to FNP auras, +1 attack auras, +1s auras, reroll to hit, and army wide +1 to wound. Running 60+ combat scouts supported by a ton of buff and punchy characters actually has a lot of merit. You can think of it like a much, much better catachan brigade. Apart from that, the fancy pants FNP banner they have access to actually solves a lot of the problems primaris marines face. Running a bunch of aggressors in cover with all those buffs and a FNP aura into the middle of the board would actually be very hard to deal with. Of course, this is all in addition to the bad @$$ characters BA tend to run just to hit you with. Wolves do a lot of things very, very well. 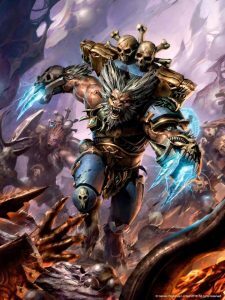 Wulfen are turning out to be one of the strongest units out there for both durability and killyness. All of their characters can hit crazy hard and heroically intervene 6″ which can be pretty sneaky. They also have the ability to successfully run a rhino rush style build as all the rhinos can just choose to be in cover if going second, and after your first turn your whole army can be -2 to hit and still maintain that permanent cover. Alternatively, you can give every unit in your army a Wolf guard termie with thunder hammer and storm shield. This will either let you tank scarier hits for your squad really well, much like a guardian weapon platform does for a guardian unit, or just go hit things harder as it is likely that he may be the last one standing in a unit so you can use the lone wolf stratagem to make him a character to keep him alive for awhile longer. Other very unique and powerful unit which marines have access to are scout bikes, and company vets as my list show cases. A unit of 3 scout bikes not only pumps out a staggering 22 shots at 12″, but they also move 16 and automatically advance 6″. In many games at BFS I deployed them very far back in safety, and then once the coast was clear I zoomed them up 22″ to try and leverage them later, by screening off my characters. Vets on the other hand serve a few rolls. They aren’t nearly as flimsy as marines since you can buy them some storm shields for just 5 point, and they shoot much harder since you can buy them storm bolters for just 2 points. These units, just pump out some ridiculous fire power, and with a 2+ armor and 3+ invulnerable they can definitely stick around for awhile. But, one of their best rules is their ability to soak wounds for characters. in essence, what I’m saying is that since the basic marine profile just isn’t up to par you need to come up with some outside the box ways to buff your units to a viable level, and focus on running characters. 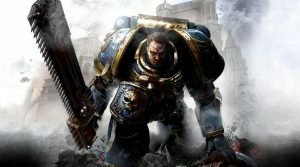 Marine characters across the board are the strongest part of every book, and competitively speaking marines generally function like a character delivery system. Playing this style of army definitely isn’t for everyone, but that doesn’t detract from its effectiveness at all. If you’re interested in upping your game with marines, and making them viable in tournaments check out Nights PRO which is my personal coaching program. I’m more than happy to help get you and your army to the next level! Previous articleMana Wars: Selesnya Trostani Discordant vs. Boros Aurelia, Exemplar of Justice!